An exhibit of chairs designed and made by Pratt students who participated in the 6 week program in Copenhagen during Summer 2009. Build time is only two weeks. Students are assigned one of three different materials steel, veneer, or wood. When I participated in the Summer of 2008, I was assigned wood. The challenge I gave myself was to make something more organic, not geometric or angular. Lys's piece is a great example of what wood can do and how beautifully organic it can be. The backrest alone is a really time consuming piece to make. Notice all the difference pieces of wood. 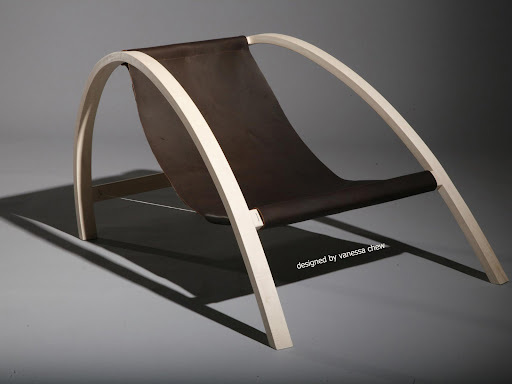 Christian Dobrick's design is an amazing example of what can be done with bent wood. Look at the detail! 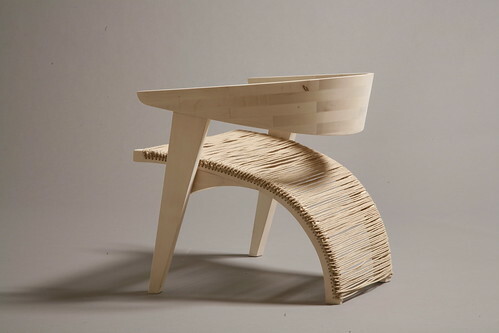 The layers of wood, the curved joint of the leg to the seat, the rounded slats. 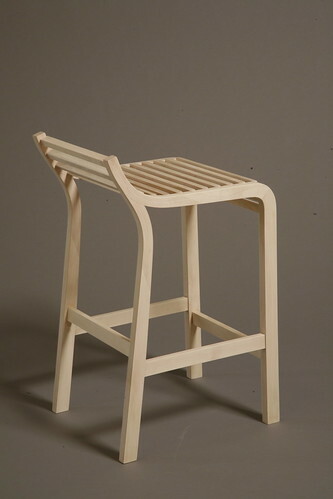 Having gone through the process of designing and building a chair, I am so much more amazed at some of these designs. I would love to check out this chair in person and find out how it was put together. Update: Christian is a Pratt student so I was happily able to see the chair in person. Looks like he used a technique similar to Alvar Aalto. He sliced the wood and inserted pieces of veneer. Absolutely beautiful. 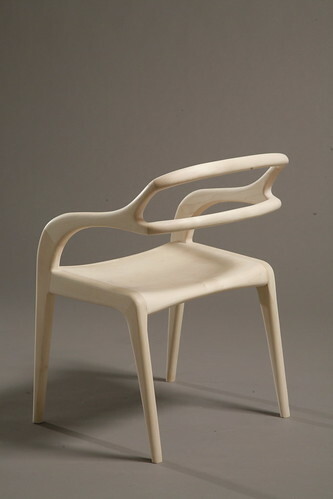 This reminds me a bit of my classmate Binsei Numao's chair. 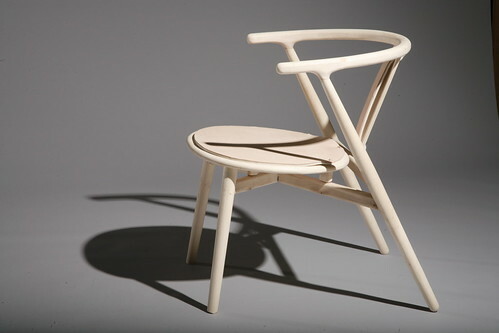 He built a chair inspired by Hans Wegner which even the techs said was difficult for the 2 weeks we had. Erica Michie - the construction is beautiful. 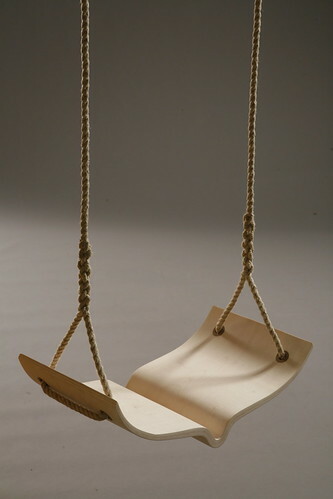 As for other designs I haven't seen in the program before, this is a beautiful hanging chair by my classmate Christina Fesmire. You can check out the rest of the designs here.